Everybody's favourite cyclist just won the Tour de France. 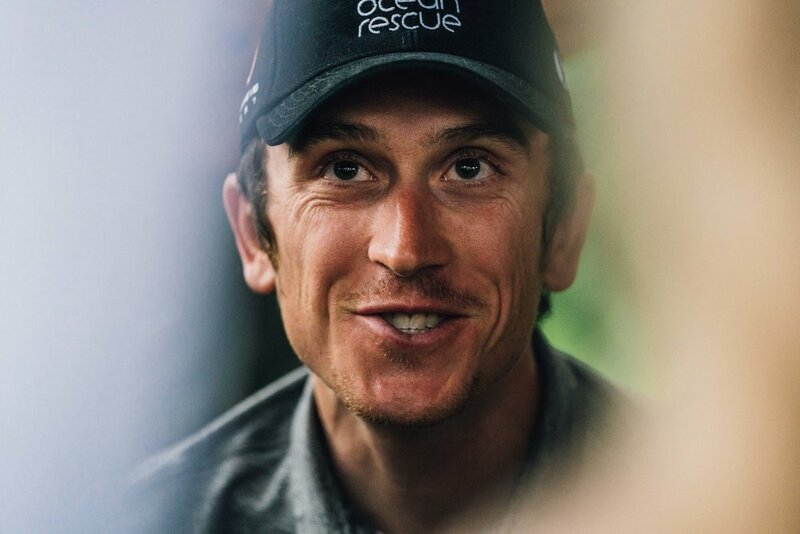 Geraint Thomas is as beloved for his down-to-earth demeanour as his wizardry on a bike, and that's before we even start on his near-superhuman ability to ride on in the face of excruciating pain. G is one of the blokes who will continue to the bitter end regardless of the consequences, the one who will still be there when the lights go up and the birds start singing. We love G for his brutal honesty and his ability to raise a chuckle without even trying. Here are a few classic lines, from his recent Tour win to his formative cycling years. "A massive thanks to everyone, you've been great support. Oh my wife! Forgot ... my wife. Obviously big thanks to Sarah." Winner's speech on the Champs-Élysées in Paris following the 2018 Tour de France. "Everyone stopped - cyclists, they like a bit of a moan - and everyone was sort of complaining and dousing each other with water but it was okay in the end." "I can't believe it. I'm welling up, man. I don't know what to say. It's just... overwhelming. I didn't think about it all race, and now suddenly... I won the Tour, man! Ah..."
On learning he'd won the Tour after stage 20. "It was without doubt the worst pain I have experienced on a bike. Each pedal stroke felt like being jabbed with a burning branch." On continuing (and completing) the 2013 Tour de France with a fractured pelvis following a crash a few days in. "Can it be so hard to get someone’s name right when asking for an autograph? I’ve had so many pronunciations. Jer-ain’t. Grrr-ant. Grey-nant. A chap I used to bump into regularly in Manchester just called me Gareth. At least they were having a go." Extract from 'The Word According to G' autobiography. "Whenever I see a colander, I think of Mark Cavendish." In reference to the time he shared a house with Cavendish and his fastidious cleanliness.